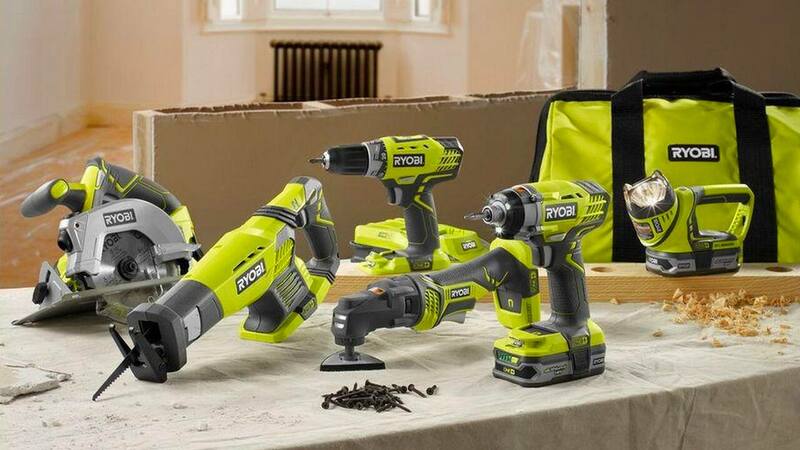 Ryobi tools are always popular on our forums, be sure to grab your kit before they sell out. Home Depot has the Ryobi 18-Volt ONE+ Lithium-Ion Cordless 6-Tool Combo Kit for just $199. That's 33% off the regular price of $299. Plus, shipping is free or you can opt for free in-store pick-up where stock permits. However, it looks like this power tool deal is only available for a limited time and while supplies last. Slickdealer low_ball_88 also reminds us that "Chase Freedom cardholders get 5% [cashback] this quarter at home improvement stores." So if you happen to fall into this category, you can shave another $9.95 off this deal. Though we have seen cheaper Ryobi Combo Kits in the past, this one is particularly ideal for weekend warriors and DIYers who take on occasional projects, according to Slickdealers like freey29. That said, a few users have commented that the batteries aren't great, and that you may want to replace them eventually. If you would like more insight on this set, make sure to check out the comments section of the deal thread. For notifications of future power tool sales, make sure to set up a Deal Alert or check out our Home Depot store page! Special thanks to brisar for sharing the original deal post!